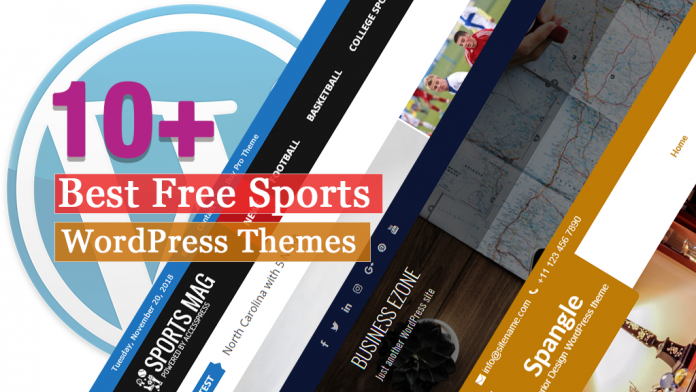 Are you looking for the best free sports WordPress themes? Then, this is the right place where you can find different types of awesome sports themes that will help you to build a stunning website easily. Sports and Fitness have become part of all of our lives. As we play or watch our favorite sports, we tend to support our team with full excitement. For example, in WorldCup, we support one of our favorite countries and will have full excitement when that country wins. So, it’s normal that it is attached to our sentiment. Because of this emotional attachment, sports has become a huge and very popular business market in today’s world. Well, Sports is not only to have fun with your friends but it is also a kind of exercise too. A sport is a good way that will bring the people together with the help of a strong online presence. Whether you’re promoting outdoor activities or covering sports, it’s very important to make your sports website appealing and beautiful from all side which will directly help to impress the visitors to your site. Not only that it also helps to provide the information and unite the fans together. Generally, the sports website features written content along with a variety of media, including video and image integration, all of which gives users a dynamic experience. The sports website should include the section for news, fixtures, schedules, and results. Also, the fans and visitors should be able to interact on the website easily. SportsMag is a flexible and modern free sports magazine WordPress theme that is perfect for online magazines, news websites, editorial related projects, blogs or personal websites. This theme is fully-responsive and SEO-optimized that comes with many useful features. It is a fully social media integrated theme so connect with your visitors easily. The theme includes a beautiful article page with image, image caption, video, title, subtitles that help to make huge visitors to your site. The WP Fitness is an awesome free sports WordPress theme that helps you to build an awesome looking website easily. This theme is especially perfect for fitness enthusiasts, personal trainers, yoga trainers, weight loss geeks, and gym experts. It is a user-friendly theme that includes a variety of features and functionalities. And also includes options like options such as WooCommerce integration, social media integration, personalization options, testimonial section, and much more. Sports Blog is a clean and modern WordPress theme, that is carefully designed to help you create extraordinary blog sites very easily, featuring a large number of different styles and options. This theme offers great user experience for almost any need and is extremely easy customizable. It is a fully responsive theme that looks equally awesome on all the screen sizes. Ultrabootstrap is a multipurpose Free Responsive WordPress Theme that is suitable for creative bloggers and artist. This theme is beautifully handcrafted with minimalist design approach and based on Twitter Bootstrap and Underscore Framework. It includes high-quality clean code with Search Engine Optimized that helps in the ranking of your site. And you will get a free support from the team if there will be any difficulties while using the theme. Spangle Lite is a multipurpose and creative free WordPress theme. This theme is suitable for interior design, sports, business, corporate, restaurant, photography, architecture, construction, design agency, hotel, wedding, industrial, personal, blog, news, bakery, and cake shop, travel, and any other business related website. It comes with an attractive and minimalist design that eliminates distractions and focus on your content. The theme is easy to use and user-friendly so create the site the way you like. Hexo Lite is a modern free WordPress theme that is designed for real estate agents, brokers, agencies, business or personal website relating to sports, photography, fashion, technology, travel, food, people, architecture, health, animals, modern, design, corporate, vector, nature, commercial, holiday, advertising, game, organizations, and so on. 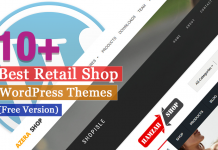 This theme is compatible with WooCommerce plugin to create a website and start to do an online business. It is a well-optimized theme that helps to rank your site top in the Google. Viktor Lite is a minimal, one page, creative, and stylish free multipurpose WordPress theme. 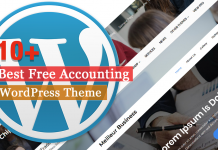 This theme is designed beautifully that is perfect for sports, corporations, and agency such as banking, finance, consulting, management, real estate, insurance, legal & law, startup, venture capital, technology, shop, and so on. It is compatible with WooCommerce plugin so start your own online business. VW Fitness is a free fully responsive multipurpose WordPress theme that is ideal for sports, aerobics, workout, lifestyle, wellness, spa, personal trainer, fitness trainers, yoga trainers, weight loss enthusiasts, cardio consultancy, gyms, fitness studios, weights, boxing, physiotherapy, health club, portfolio and other local businesses. This theme is built on Bootstrap and it allows you to create a strong website with the provided personalization options. fGymm is an awesome free WordPress theme that helps you to build a beautiful website easily. This theme is fully responsive that looks awesome on all the screen sizes. It is a well-optimized theme that helps to rank your site in the top of Google. The theme comes with multiple templates so, use the templates that you prefer on your site. It includes a number of powerful and advanced features that will make your site unique from others. Business Ezone is a clean and modern responsive business style WordPress theme that is perfect for business, portfolio, entertainment, sports, technology, food, travel, blogs, publishing and any kind of sites. This theme is built on customizer and it allows you to easily customize your website with live previews. And the detailed documentation will help to use the theme perfectly. Fitness Lite is a stunning free WordPress theme that is built on the default Customizer API which comes with WordPress install. This theme is compatible with a large number of plugins like a gallery, team, contact form 7 and WooCommerce for ecommerce purposes as well as pricing table for gym pricing. It comes with unlimited colors so change the color as per your choice. The theme is simple and easy to set up homepage sets itself with the default content as well as easy to manage the homepage boxes content as well as the slider. Here, I’ve tried to make the list of some of the Best Free Sports WordPress Themes that will help you to build a perfect website easily. These themes are carefully handpicked and well tested. Next articleHow to Create Company/Organization Chart in WordPress? Hey Buddy!, I found this information for you: "10+ Best Free Sports WordPress Themes". Here is the website link: https://wpallclub.com/best-free-sports-wordpress-themes/. Thank you.